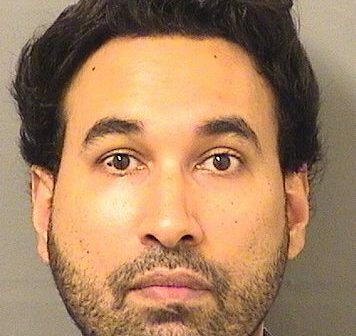 “A music teacher from Riviera Beach is accused of molesting a young boy in Palm Beach Gardens, and investigators are looking into whether there may be more potential victims, according to Palm Beach Gardens police. Police say the investigation of 38-year-old Terrence Garvin Dwarika began days after Christmas when a mother reported Dwarika inappropriately touched her two sons, ages 8 and 9. One of the brothers said on the day after Christmas, Dwarika asked to take them to the Palm Beach Gardens Mall to buy a Christmas present. Afterward, one brother told his mother Dwarika took them to a home and separated the boys. According to the police report, the boy said his brother played with a tablet in another room while Dwarika took him to the bedroom and kissed his cheek and forehead, and touched his behind while play fighting. The mother said she asked her sons if Dwarika had ever done this before. The report said one of her sons said Dwarika put his hand down the boy’s pants in the school’s music room and asked him to keep it a secret. The boy told investigators it happened several times in the music room and that Dwarika exposed himself. The boy also recalled an incident where Dwarika’s pants fell down in the bathroom and he would ask the young boy for help in pulling them up, the report said. When questioned by police, Dwarika admitted to intentionally touching the 8-year-old boy in a lewd or lascivious manner, the report said. He is being held at the Palm Beach County Jail. According to court records, Dwarika must have no contact with the victim’s family, anyone under the age of 18, or anybody associated with Trinity Christian School. Police say the school is associated with Trinity United Methodist Church.